Last year, revenue from streaming music services increased 45.2% and represented 43% of digital’s $6.7 million in music sales, according to IFPI. Soon, streaming is expected to surpass downloads as the leading source of digital revenue, although in 42 countries, this has already occurred. Globally, streaming revenue increased 29.5% in Asia, 43.1% in Europe, 46.6% in North America and 80.4% in Latin and South America. 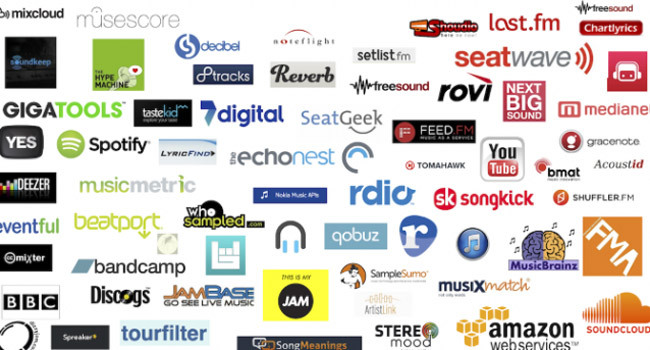 Let’s look at the streaming music phenomenon and what has shaped it. Streaming music appeals to a younger audience. According to a recent ReportLinker survey, 44% of Millennials use streaming music service. By comparison, 65% of those in older generations said that not only did they avoid using streaming services, they were unlikely to use them in the next year. When it comes to which streaming service users select, it varies. For example, 44% of Pandora users are from Generation Z or Millennials while with Spotify, 65% of users are from Generation Z or Millennials. In 2015, there were 68 million paid subscribers to streaming music services. Revenue for these services increased four-fold from 2010, reaching $2.89 billion. The majority of streaming service users, 900 million, use ad supported, free membership levels. These users generate $634 million in ad revenue. Playlists account for 31% of listening time compared to 22% for albums, according to LOOP. But playlists still lag behind singles, which use up 46% of listening time. Playlists are compiled by the streaming-music sites using computer algorithms or industry recommendations and have increased in popularity as members use them to discover new music. Streaming-music lovers are technology driven. Ninety percent listen to music on a smartphone for at least one hour daily. Users of streaming-music services also are more likely to use other online or app services, ReportLinker found. Of those who have paid streaming subscriptions, 86% also use video-on-demand while 29% use ride-sharing apps and 21% use hospitality services. Finally, 77% listen to streaming music while at home, 94% listen while commuting, 38% listen at work, and 53% listen while exercising, according to ReportLinker. The survey found that 83% of respondents were satisfied with the service they were using. When selecting a service, 65% said the variety of music along with new selections being added regularly and the ability to have unlimited listening time were the most important reasons. The music industry has a love-hate relationship with YouTube. For Millennials and Generation Z, YouTube is the service of choice, according to Midia Research. Music-rights holders, however, complain that YouTube does not pay enough in royalties. YouTube accounts for 40% of listening time, but only 4% of revenue, according to Digital Music News. In 2014, 85.3 billion songs were streamed on YouTube compared to 78.6 billion on other streaming sites, according to the RIAA, but YouTube revenue was only $147.5 million in revenue. Other sites accounted for $946.4 million. SoundCloud was founded in 2006 and today has about 175 million members with 40% of its revenue coming from Europe. Despite this, SoundCloud has yet to make a profit. In 2014, the company lost $43.9 million. This year, it has made about $27.9 million. Perhaps that will be enough for the company to finally turn a profit.